Sadly there’s no truth in the myth that Inuits have 87 words for snow (according to yesterday’s radio there are just as many English words for the white stuff) but who has more words for rubbish? 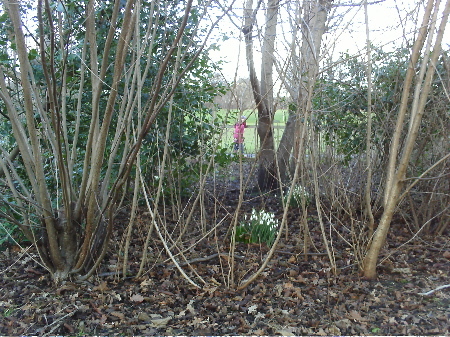 On Saturday while snow covered much of the UK, the sun shone on volunteers picking litter out of Pilrig Park. 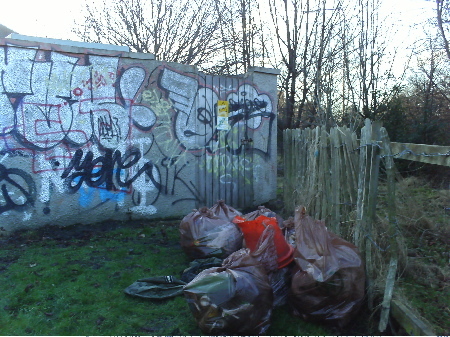 That’s litter, rubbish, trash, garbage, junk, detritus, gubbins, yuk…you name it, Greener Leith volunteers found it. And filled 48 bags full of it. 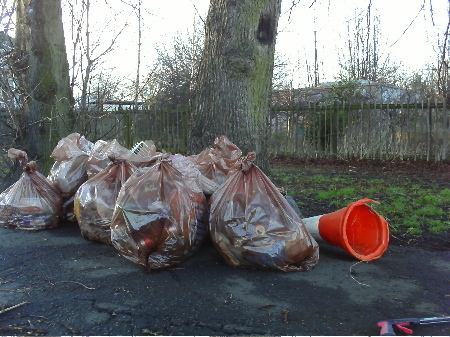 Altogether around 20 volunteers (include one Leith Open spacer) turned up on a frosty afternoon to support the second Pilrig clean up organised by Greener Leith. A sign in the local Scotmid store tempted a few helpers to join in before retreating to the pub or the telly. 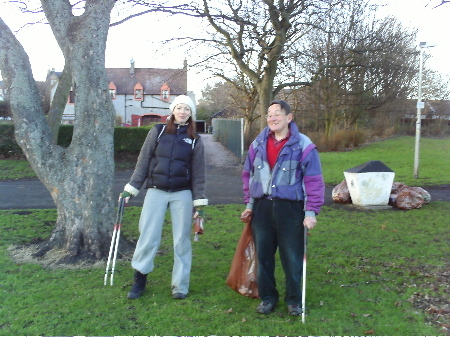 Prize for the longest journey goes to Adrian who came from Heidelburg in Germany (returning to visit friends made on a student exchange last year, he somehow found himself wielding a litterpick and digging up half a car on the edge of the park).